Strategic Financial Management Casebook strategically uses integrative case studies—cases that do not emphasize specific subjects such as capital budgeting or value based management—to provide a framework for understanding strategic financial management. By featuring holistic presentations, the book puts readers into the shoes of those responsible for the world’s largest wealth creators. It covers strategies of growth, mergers and acquisitions, financial performance analysis over the past decade, wealth created in terms of stock returns since its listing in stock market, investment and financial decisions, cost of capital, and corporate valuation. In addition, the casebook also discusses corporate restructuring activities undertaken by each company. Each chapter follows a template to facilitate learning, and each features an Excel-based case analysis worksheet that includes a complete data set for financial analysis and valuation. 17. Analysis of wealth—Time Warner Inc.
Dr. B. Rajesh Kumar is Professor of Finance at the Institute of Management Technology, Dubai International Academy City, UAE. 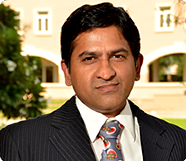 He earned his PhD in Management from the Indian Institute of Technology, IIT Kharagpur. He has published over 40 empirical research papers in refereed international journals and is the author of six books. His co-authored research works have been cited in the popular financial press, such as The Financial Times, Money Week and The Economist. 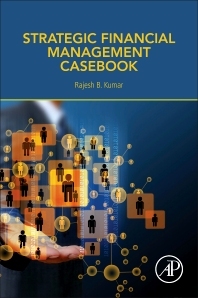 He has published three books with Elsevier/Academic Press including the recently published Strategic Financial Management Casebook that strategically uses integrative case studies-cases that do not emphasize specific subjects such as capital budgeting or value based management-to provide a framework for understanding strategic financial management. His earlier book, Strategies of Banks and Other Financial Institutions, presents a comprehensive portrait of financial institutions worldwide by balancing their theories of strategy and risk structure with detailed case studies. His book on Valuation Theories and Concepts, offer a broader more holistic perspective on valuation suited to companies and markets worldwide.